The Zapier integration is available in Grow plans, Pro plans and above. Zapier is a Freemium service. Above a certain limit of emails, you might have to upgrade your account. 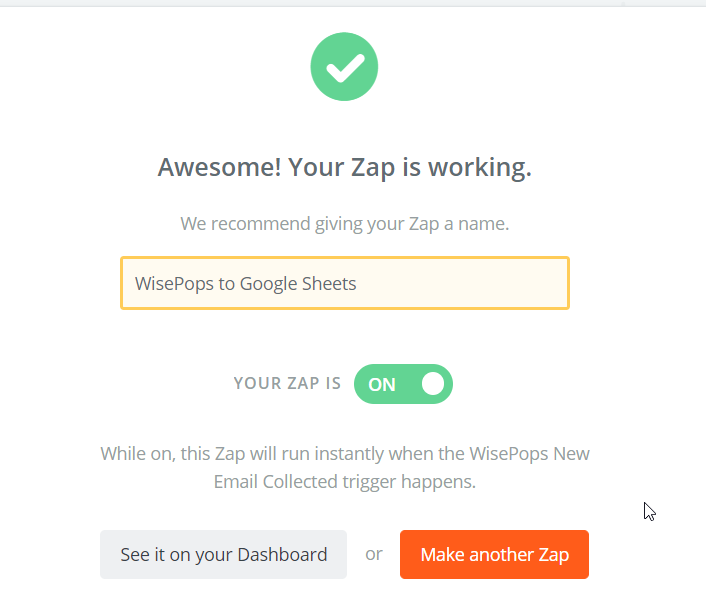 Follow these steps to send your new emails to a Google Spreadsheet through Zapier. 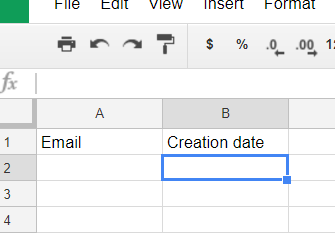 Step 1: log in your Google Drive account and create a new spreadsheet. You will be the only one seeing these elements. So feel free to pick the wording which works best for you. Step 2: Open or create a popup with a sign-up form. Step 3: Click your sign-up form. 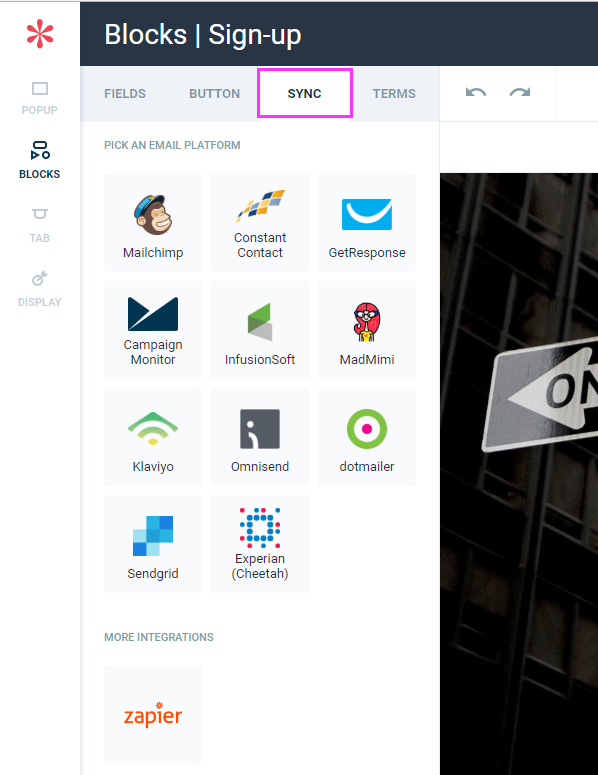 Step 4: In the left menu, click "Sync"
Step 7: Create an account on Zapier or log in to your existing account. 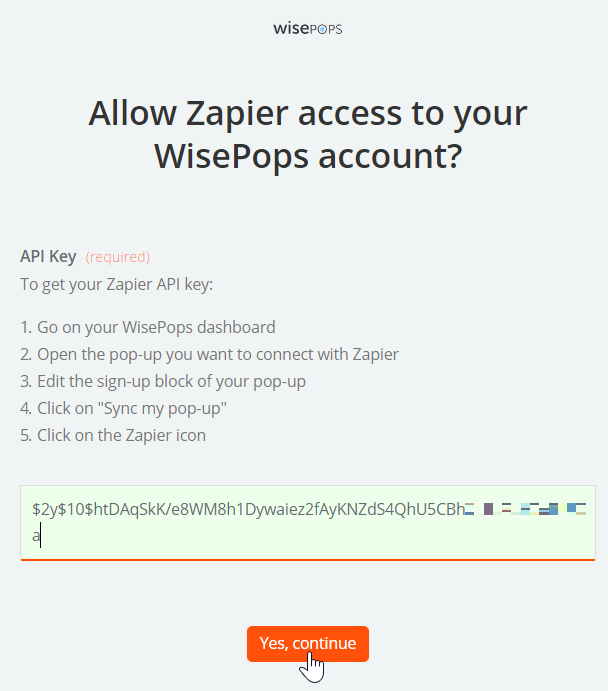 Step 8: In the upper menu, click "MAKE A ZAP"
Step 10: On the following page, click "Save + Continue"
Step 11: in the pop-up window, paste your API key and click "Yes, continue"
Step 12: Click "Test" to try the connection. If "Success" is displayed, click "Save + continue" and continue with the instructions. Otherwise, check what's wrong with your API key (or contact us). Step 13: Select the popup you want to sync in the list and click "Continue"
Step 14: On the following page, click "Fetch & continue". If the test is successful, click "Continue". 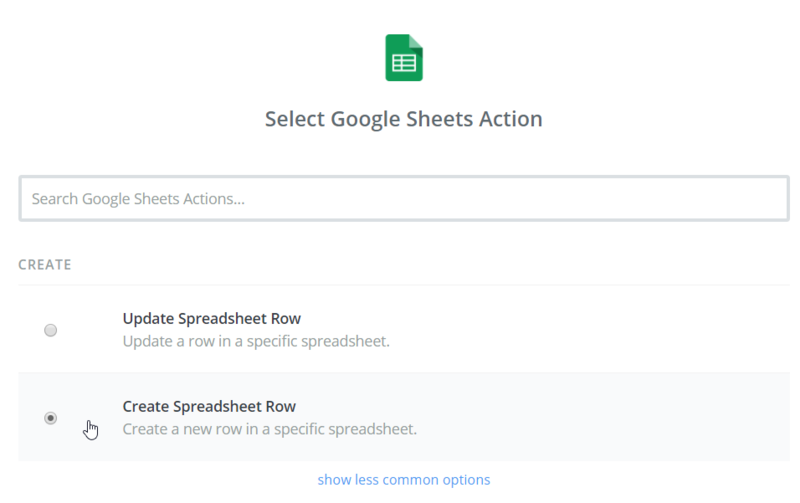 Step 15: In the "Choose an Action App" search, look for Google Sheets and select it. 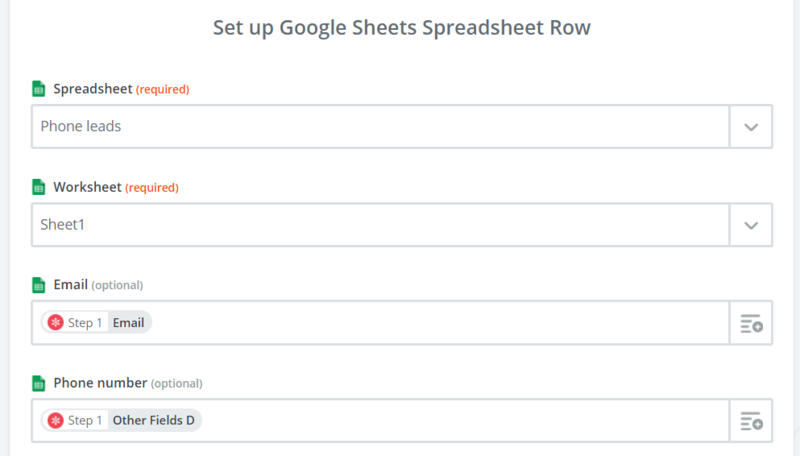 Step 16: Select "Create Spreadsheet Row" and click "Save + continue"
Step 17: Click "Connect an Account" and log in your Google account. Step 18: Select your spreadsheet and worksheet and match the elements with their WisePops equivalent. And click "Continue"
Step 20: Name your Zap and activate it.